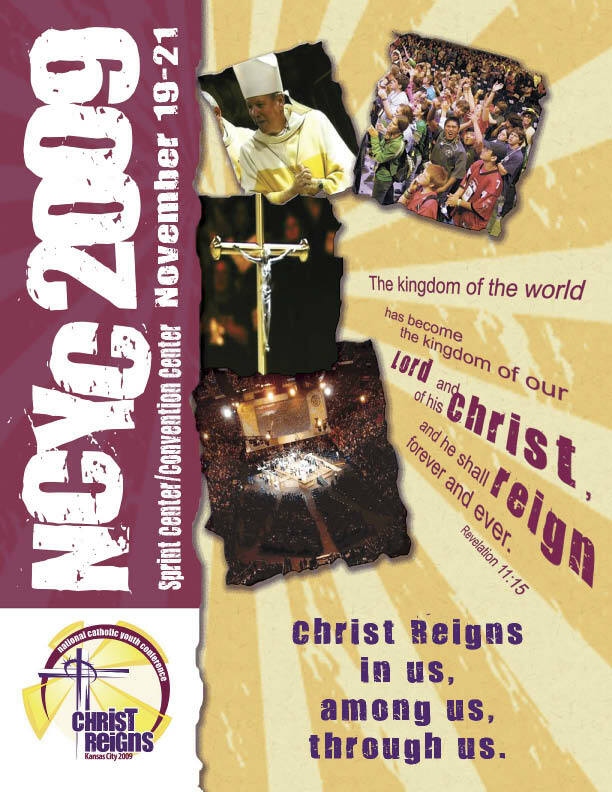 This was the poster for the National Catholic Youth Conference in Kansas City in 2009. Over 25,000 teens saw the poster and it sold out in the commerce area of the conference. The poster featured the conference logo, images from past conferences and conveyed a youthful excitement for the conference.